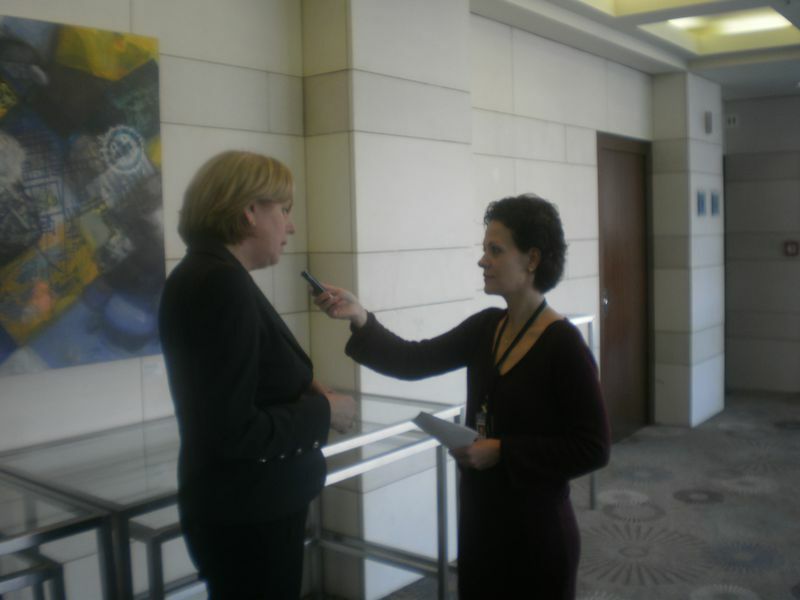 It is crucial that we immediately implement a very strong crisis financial mechanism that should act as our European Monetary Fund, and to have a common European plan for bank recapitalisation, Corien Wortmann-Kool MEP (EPP, the Netherlands) told euinside in a special interview. She was in Sofia on the occasion of the extended meeting of the European People's Party Bureau. Ms Wortmann-Kool explained that generally changes were needed in the EU treaty but they would take time, so we have to do the maximum under the current legislation. Our questions were focused mainly on the new EU economic governance, as Ms Wortmann-Kool was one of the parliamentary rapporteurs on the so called 'Six Pack'. As a member of the delegation of parliamentary cooperation with Armenia, Azerbaijan and Georgia, the MEP also commented on the results of the Eastern Partnership summit, which took place in late September. What follows is the entire interview with Ms Wortmann-Kool, which you can also watch on the video. 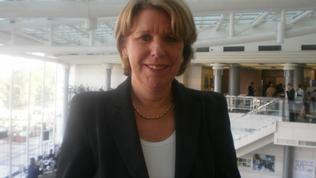 euinside: Ms Wortmann-Kool, you were one of the EP rapporteurs on the 'Six Pack'. The EU economic governance package has just been approved but it already seems insufficient. What else should be done to solve the current crisis? Corien Wortmann-Kool: Well the 'Six pack' is about strengthening the economic governance in Europe because we have to solve our debt problems, because this is not only causing the crisis on our financial markets but is also jeopardising our economic growth. So it's very urgent and therefore I am very happy with the outcome with a strong role for the European Commission, so that all the Member States have to solve their debt and deficit problems. And this is a strong fundament where we'll have to build further on. euinside: What should be done given the example of Slovakia to guarantee that national politics would not undermine European efforts to solve the crisis? 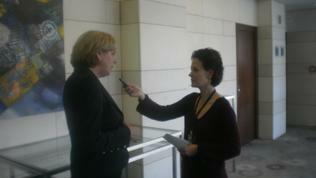 Corien Wortmann-Kool: The decision that national parliaments had to take was on the money they put into the crisis resolution mechanism That is and that has to be decision of the national parliaments, they have the budgetary powers, but from now on it should get the mandate to be fully active actually as our European IMF. We need this urgently and it cannot be the case that when there is a certain fire somewhere in Europe and our fire brigade, our emergency fund has to act that then every time they have to go back to these 17 national parliaments, that`s impossible. So now the budget is settled, the crisis fund has to act on its own. euinside: Do you agree with Mr Barroso's latest ideas for eurozone economic governance? euinside: What do you expect of Merkel - Sarkozy's proposals? Corien Wortmann-Kool: Well, what I see is that they are still discussing. I think they are fully aware of what we need to do to solve our debt problems, because the crisis is deepening, that we need a plan to recapitalise our banks. But I think and that is our institutional cooperation that President Barroso, the European Commission, has to pot forward proposals also on the recapitalisation of the banks, because also in this area when France takes another approach than Germany or Austria, then it will destroy our internal market. And this banks operate in an international scale. So the way we are going to recapitalise our banks it`s again important that we get a European approach. euinside: Mr Barroso as well as Angela Merkel are talking about EU Treaty changes. Do you think that we need treaty changes and in what direction they should be? Corien Wortmann-Kool: Well, the history in Europe shows that through crises we are aware that we have to strengthen our European cooperation and its certainly now the case that we have to do this in the economic area. That will mean another treaty change, but we cannot wait for that. So we have to do everything possible in the current treaty and that is already a lot, we have to do that and to implement that and then at the same time also work on the longer future. Because we all know that a treaty change costs a lot of time before we achieve that, so we should not wait for that. euinside: But there is another danger about treaty changes that many countries have to pose them at the referenda, your own country too, so are European citizens ready to vote for such changes? Corien Wortmann-Kool: Well, that depends and only few member states really are obliged to have a referendum. Most of the countries have a parliamentary democracy where the parliament is elected and they can take this kind of decisions- that is also the case of the Netherlands, by the way. But it is indeed a non certain path to go. So therefore it is my clear preference that we now put forward policies and that’s, again, a lots, which we can already achieve under the current treaty, that we work on the longer future and at the same time take care that we have the right discussions in public opinion, discussions where our 500 million citizens can also take note of, that they are aware whats happening and that we mobilise them in advance of a treaty change. Because we have to explain to the people and to make clear that we need Europe for out wealth and our prosperity, to give our children a good, a better future even and we need this Europe and this will be more Europe than nowadays. That is what the crisis makes clear. euinside: A final question a little bit of the topic, but you are a member of the delegation for parliamentary cooperation with Armenia, Azerbaijan and Georgia and in this context what do you think about the Eastern Partnership Summit that was held in the end of September? Corien Wortmann-Kool: It`s extremely important that our heads of states and governments show clear commitment towards the Eastern Partnership, because these are not only our neighbours, they are our friends. We, the EPP family, we strongly want to invest in a much closer cooperation, we want to have our European values implemented there as well. There are huge differences for the moment. Moldova is really on the right track. In Belarus democracy is in very bad shape and what happened to Ukraine is that Yulia Tymoshenko is imprisoned and sentenced. That is unacceptable. So we need to work in the right direction with our friends but we also have to be tough on those governments, who are really not taking the right decision towards democracy and European values. That’s unfortunately the case both with Belarus and Ukraine. euinside: Thank you very much! 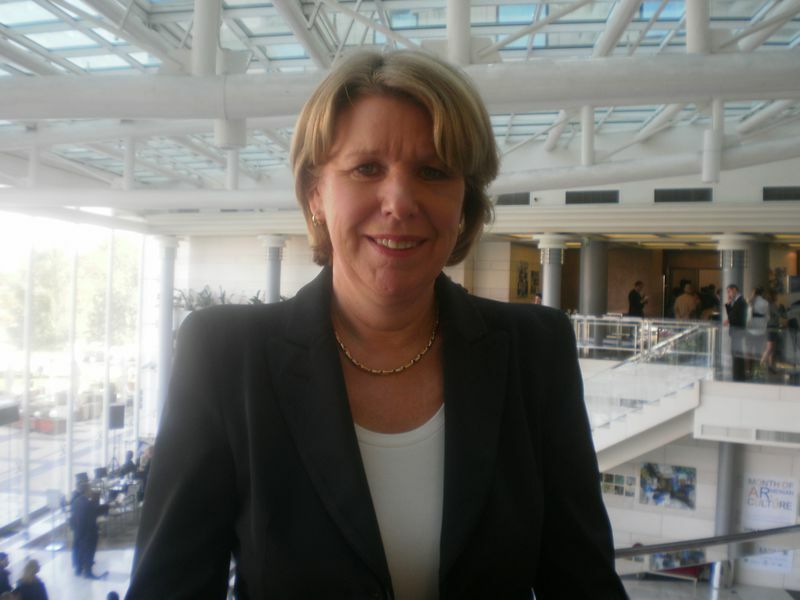 Corien Wortmann-Kool: Welcome, thank you!